HOUSTON, September 12, 2017 – After a highly successful Japanese domestic run, leading distributor of anime programming, Sentai Filmworks, announced that No Game No Life Zero is set to captivate North American audiences with exclusive premiere screenings in Los Angeles during the Los Angeles Anime Film Festival (LA-AFF). The English-subtitled U.S. premiere on Saturday, September 16, is already sold out, and the September 15 English-dub grand premiere is rapidly selling out. Immediately following the premieres, in partnership with distributors Azoland Pictures and Fathom Events, No Game No Life Zero will launch in more than 1,000 theaters across North America, with international showings to follow, making this one of the widest releases of its kind. 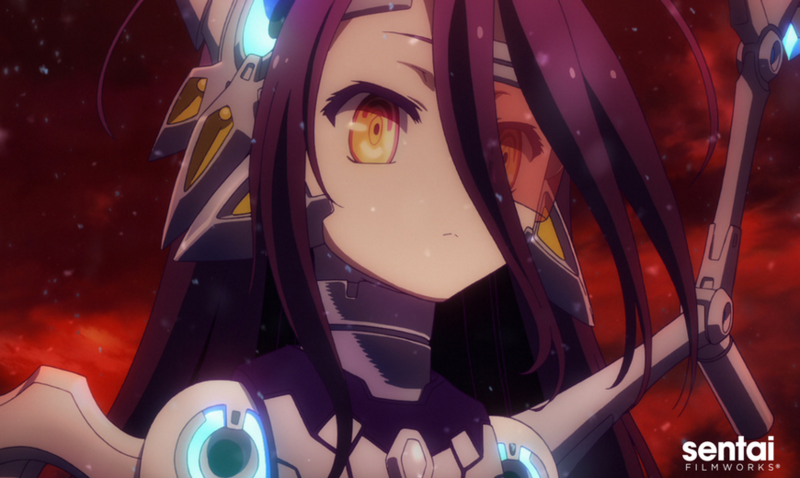 Already hailed as one of the best animated features to come out this year by Anime News Network, No Game No Life Zero takes place 6,000 years before the events in the television series. War has consumed the land, tearing apart the heavens, destroying stars, and even threatening to wipe out the human race. Amid the chaos and destruction, a young man named Riku leads humanity toward the tomorrow his heart believed in. One day, in the ruins of an Elf city, he meets Schwi, a female exiled “ex-machina” android, who asks him to teach her what it means to have a human heart. For ticketing, franchise, and event information, please visits NoGameNoLifeZero.com. For Sentai Filmworks’ latest announcements regarding this and other great titles, be sure to like them on Facebook, and follow them on Twitter and Instagram.